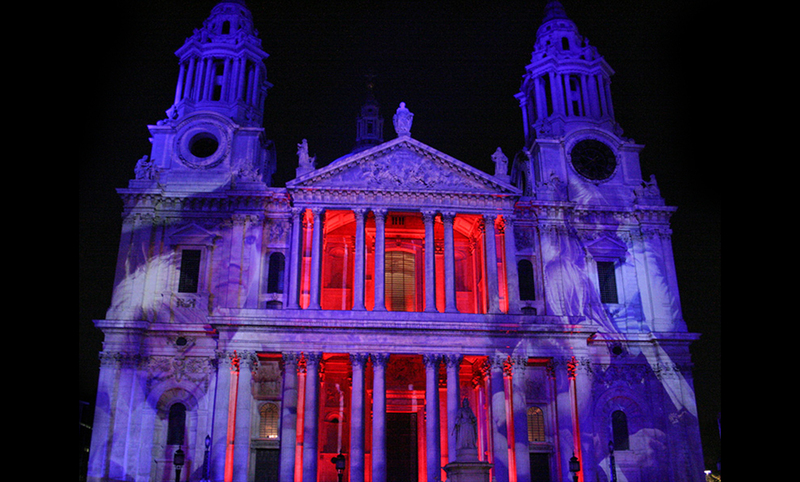 Back in January 2008, Mark didn’t suspect that this simple military parade was going to grow rapidly, overtaking his life for the next four months as he became Production & Lighting Designer for an event the nation had been demanding for some time; an acknowledgement of the UK’s armed forces and an opportunity for the people to show their appreciation for the sacrifices that are too easily taken for granted. 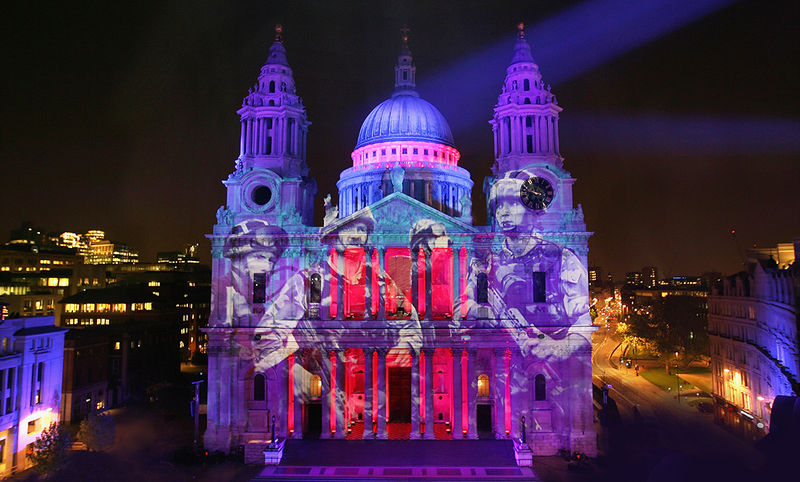 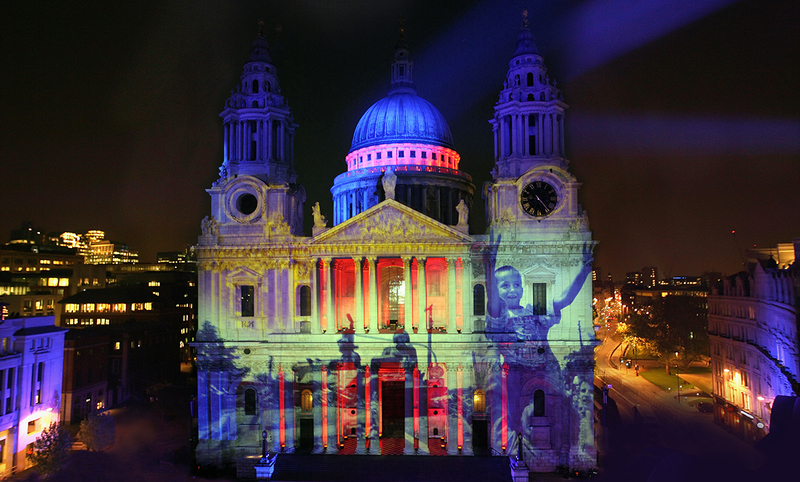 Mark’s design revolved around a state-of-the-art son et lumière in which photographic images would be projected onto the West elevation of St. Paul’s Cathedral. 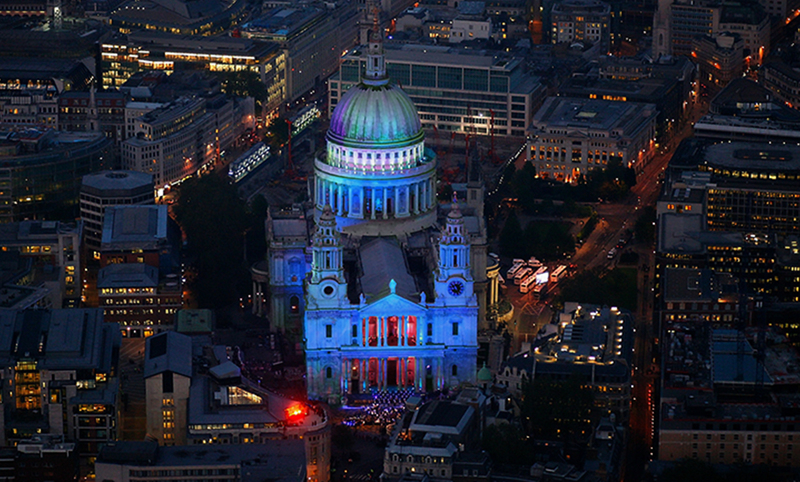 The results speak for themselves as one of the World’s most iconic buildings was bathed in colour whilst the dramatic imagery was accompanied by The Band of Her Majesty’s Royal Marines.